Recently I reconnected with the unconditional love of Christ consciousness, It was such an overwhelmingly beautiful experience. I decided to share this in the form of a painting. Enjoy! 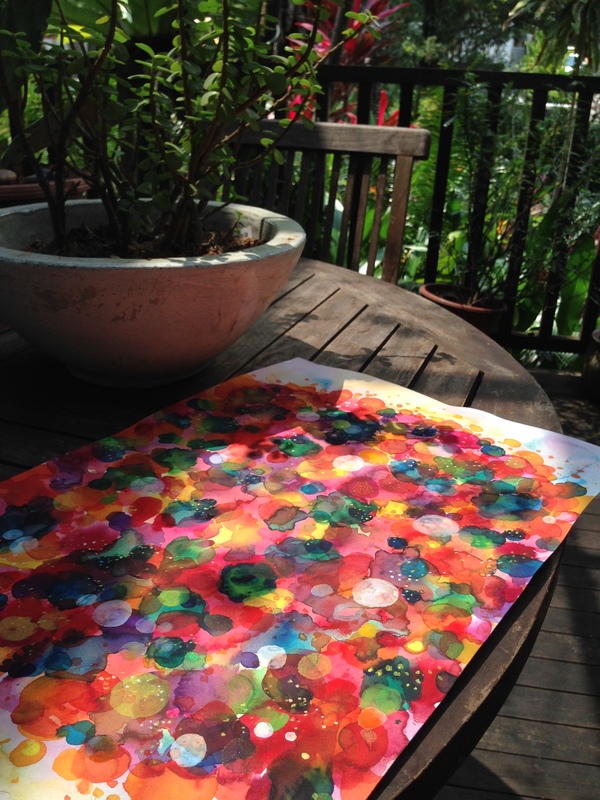 Painting charged by and drying in the sunlight. 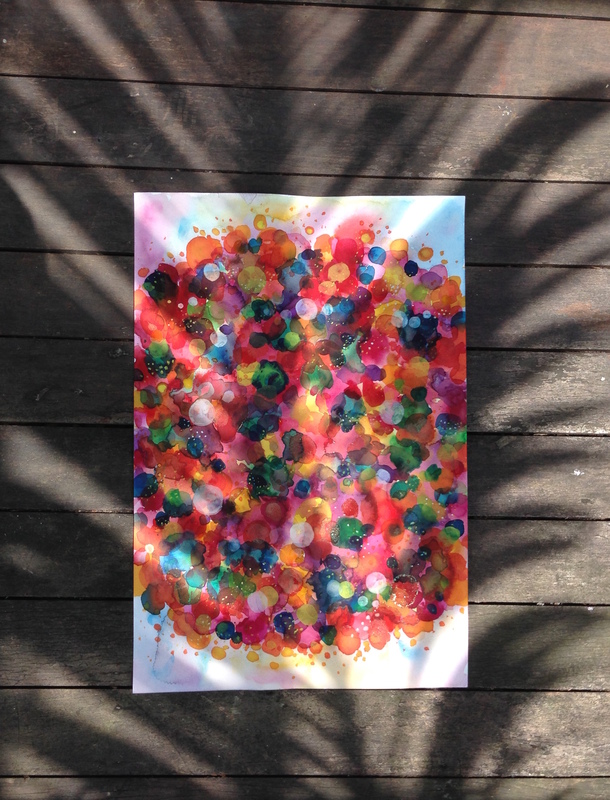 Painting drying with sunlight and palm fronds.